Okay, I hope this doesn’t remind you of your awkward high school breakup. But yes, after three months of blogging, this will be my final post on PointsNerd. I recently received an offer from Finnair, the national airline of Finland, and like Jayce, I was wedged in between a conflict of interests. And because I also have a family to feed, I chose to accept the offer. My role will be managing eCommerce for ancillary products like seat selection, checked baggage, wifi and lounge passes. Prior to PointsNerd, I had never blogged before. You were my guinea pigs and you’ve allowed me to challenge myself and become a more experienced writer. So I thank you for reading my posts. Thank you for engaging in comments, emails, and private messages. Ever since my first post, the support and discussions from all of you have been phenomenal. 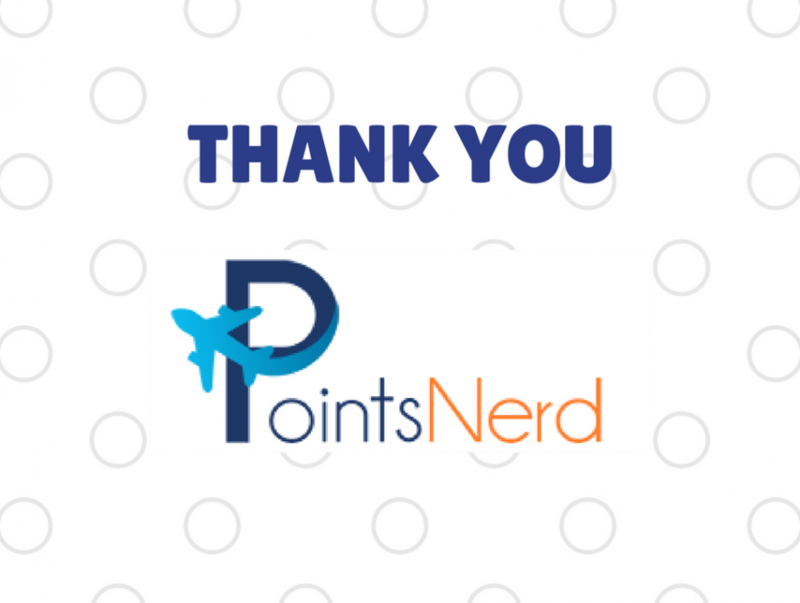 Even though my time at PointsNerd was short lived, I thoroughly enjoyed sharing my passion with you. I am grateful to Jayce for his mentorship and the opportunity to reach you all. Please don’t stop reading and supporting PointsNerd! Jayce is still 100% committed to empowering a community of PointsNerds with this platform. We have seen many guest articles from unique Trip Reports by John, the Credit Card Travel Insurance series by Aeroman, and a feature post from another blog by Matthew. As for the main writing duties, the torch has been passed to Brian Ewanchuk. Brian also joined when Jayce stepped down and he has been a solid contributor to PointsNerd. Next month, I will be relocating to Helsinki working out of the Finnair headquarters. Six years ago, I studied in Finland and explored Europe during my spare time. This time around won’t be different. I’m excited to live and travel around the Nordics and hope to share my experiences someway somehow. At the same time, I’m terribly sad to leave Vancouver, and trust me, having to ditch the points scene was a major deterrent to uprooting. Nevertheless, when you eat, sleep, and breathe points and aviation, you cannot pass up a great opportunity to enter the industry. I’m sure we will cross paths or itineraries one day. Shoot me an email at [email protected] if you are ever in Helsinki to grab a coffee/beer on a stay or long layover! Chao is not your typical Asian: he’s good with numbers, likes deals, and loves to travel on miles. He calls Vancouver, Canada home and travels to Asia and Europe once a year visiting family and exploring new sceneries. He is best known for helping beginners grasp the concept of points and sharing unique methods to earn and redeem miles efficiently. Chao is one of the main content writers for PointsNerds. Dang it Chao. Congrats but Dang it. Haha, now you have to buy me a couple beers to get those tips. I think these circumstances speaks highly of the Quality of bloggers here in general. Chao, your contributions have been educational, informative and fun. Best of luck to you and I look forward to more posts from Brian (who I already enjoy reading). Jenna, thank you for your kind words and I am flattered you enjoyed my writing. Yes, Brian is great and will continue to deliver the content you readers are accustomed to. Be sure to enjoy your fair share of lonkero :). Good luck with the language! Finnish grammer is…. yah :(. You’ll be missed on the Canadian mikes-and-points scene, Chao. Thank you for your contributions. Hopefully one of your trips home will coincide with PointsU. All the best in Helsinki.